Let's turn things up a notch! 1. Go on an Internet hiatus, for crying out loud. You’ve been spending too much time on Facebook, anyway. Real life is just exponentially better in the summertime. 2. Go to a an event. There’s so much stuff going on outside your window, from concerts to car shows to outdoor cinemas. These are just some of the things you’ll miss when the rainy season kicks in. If you're into musicals, the hilarious Rock of Aegis will be running at the PETA theater from June 17 to August 16; but if Mixed Martial Arts is more of your thing, get your fix of ground-and-pound action at PXC 48, happening in the Ynares Sports Arena on June 13. Whichever you choose, it will indubitably be more exciting than staring at your walls at home. We’re not asking you to do anything illegal. More like walking around the house in your underwear. Booking a one-way ticket to Bali. Going to a place you never thought you'd find yourself in. Drop your inhibitions! In a country obsessed with whitening products, summer is the only time of the year where it’s actually kind of nice to get a tan. Besides, morena girls rock bikinis the hardest. 5. Eat lots and lots of mais con yelo. Keep it old school by indulging in a nice tall glass of mais con yelo, just like you used to as a kid. Better yet, make it #MoreThanTheUsual by putting Granny Goose Kornets on top of it. 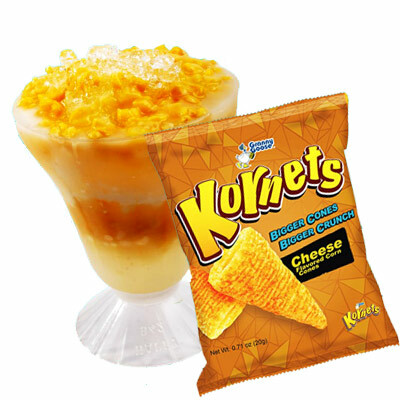 Let’s call it the Kornets Con Yelo! 6. Go to the park, read magazines, and listen to music…on a weekday. When was the last time you did such a thing anyway? Press play on your iPod, flip open the latest issue of Cosmo, tear open a pack of Granny Goose Tortillos, and shut everything else out. 7. Visit your alma mater. Take a nostalgic stroll on the very campus that gave you all sorts of firsts, from your first kiss to your first inumansession. Soak it all in for as long as you want. 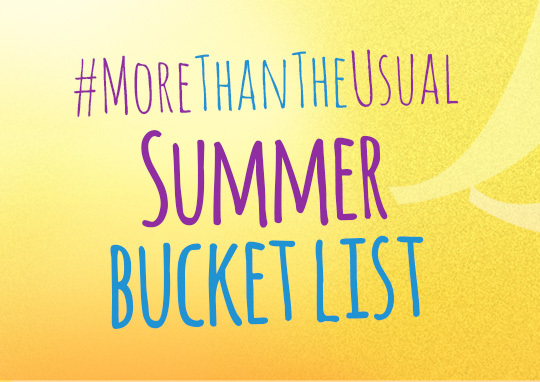 Do you happen to have your own #MoreThanTheUsual summer bucket list as well? Proceed to the Granny Goose Facebook page and let us know about it!